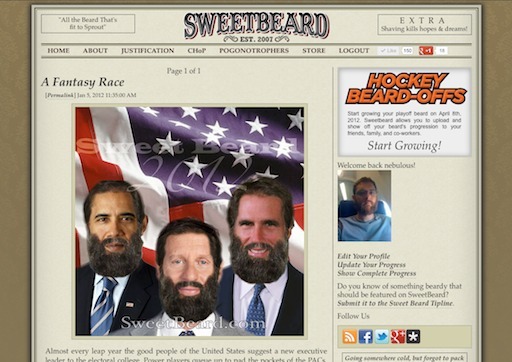 Loyal SweetBeard readers might remember this post which simulated the US presidential candidates for 2012 with beards. It may not have been rocket surgery to do so, but remember in January there were far more than three candidates in the race. We totally called it.